Today I would normally post my weekly recap, but I thought I would share that with you tomorrow. 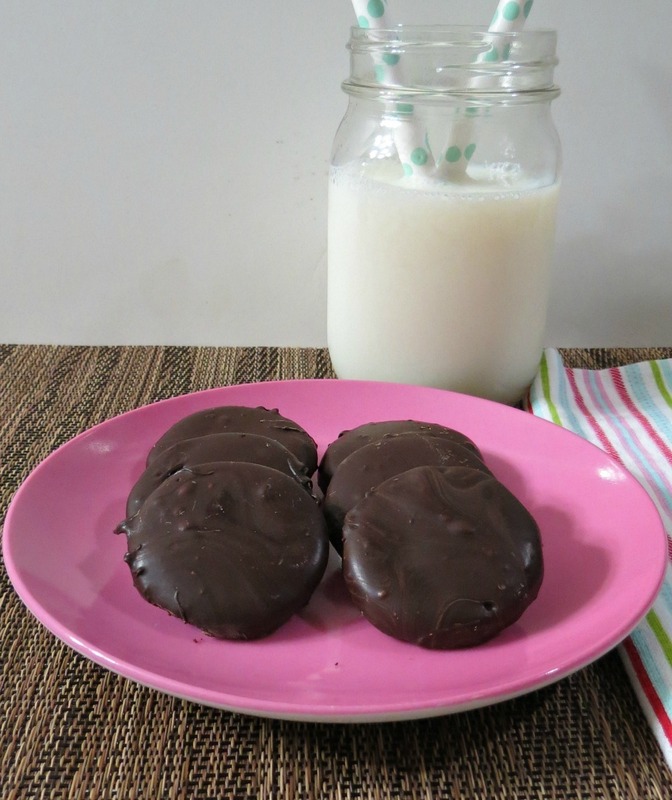 Instead, I decided to share with you a little healthier version of the popular Girl Scout Thin Mint Cookies! Yum! They are my favorite Girl Scout Cookies of all time! But how do the cookies taste? Just like Girl Scout Cookies! I don’t think I could have gotten any closer to a Girl Scout Thin Mint if I tried!! Yah!! They have a crisp chocolate wafer, covered in semi sweet chocolate with peppermint extract mixed in. I’m pretty impressed with them! They were a huge hit with my family and my co-workers. I’m pretty proud of these cookies, I just wish I did a better job on dipping them in chocolate, but I’m still learning. Now the only problem I have with them is I now know how to make them! That could be dangerous!! Let me tell you , place them in the freezer, oh man they are so good frozen! 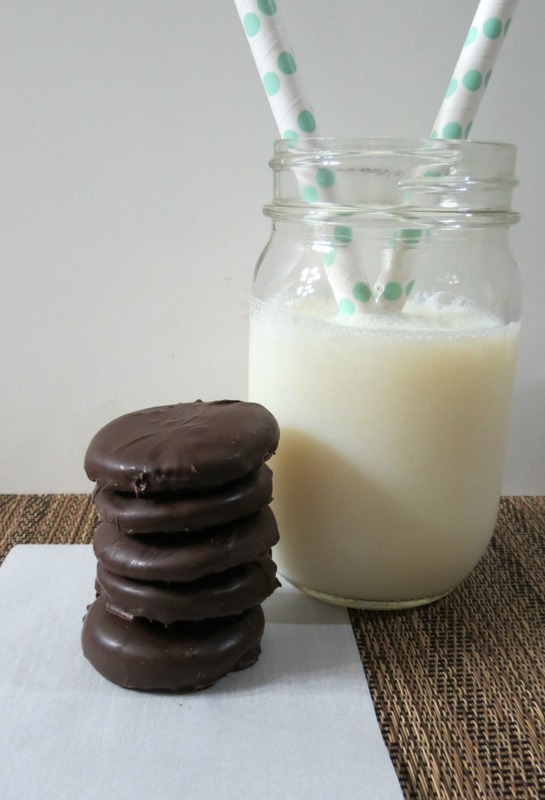 That is my favorite way to have my Thin Mints!! The cookies are pretty easy to make too! Bonus! I made my cookie batter, placed it in the freezer for 15 minutes and then rolled them out to the proper cookie size. I didn’t have a small enough round cookie cutter, so I used the top of one of my spice jars. Once I baked the cookies I let them cool, then dipped them in semi sweet chocolate with a mix of peppermint extract. So perfect! I had chocolate everywhere, yes I dipped my finger into the chocolate. It was so good!! Mint and Chocolate is one of my favorite combinations. I got this recipe from Chicagoist. They have some nice step by step photos in case you want to see the process. I did cut the recipe in half, but for easy mixing I used 10 oz of semi-sweet chocolate chips. I calculated the calories using all of the chocolate, but I did have some left, so the calories are actually less than what I give you. I’d rather make something higher in calories than less, so if you do make them, you don’t over do on eating them, thinking they are fewer calories than they actually are and trust me, it will be hard to just eat one!! By the way, in comparison to Girl Scout Cookie calories, mine are more, but it is because these cookies are a little bigger than the standard Girl Scout Cookie. 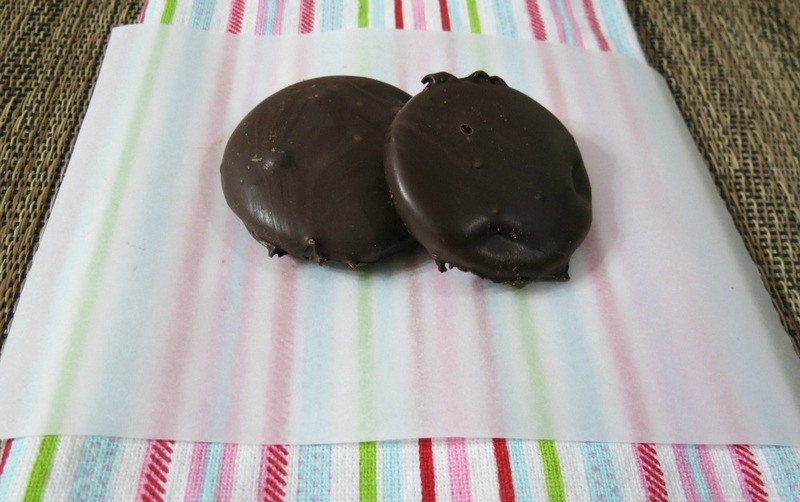 A chocolate wafer cookie, covered in chocolate infused with mint. Remove dough from the freezer and roll it out really thin on a floured surface, about ⅛-inch. Cut cookies using 1½-inch cutter (any shape or design you like, I used the lid to my spice jar which was a perfect size). Place cookies on a baking sheet and bake for 10 minutes. Remove the cookies from the oven and allow to cool completely. Line a baking sheet with parchment paper. This is to place chocolate coated cookies on to dry. To make chocolate topping: In a microwave safe bowl; add chocolate and microwave in short 15-20 second bursts; stirring between bursts. Mine took about 1½ minutes. Stir in the peppermint extract. Gently drop the cookies, one at a time, into the coating. Turn to coat entirely, then lift the cookie out of the chocolate with the fork and bang the fork on the side of the pan until the extra coating drips off. (I banged mine against the spoon I used to stir the chocolate, that way the cookie wouldn't fall back into the chocolate) Place on prepared baking rack. Repeat for the rest of the cookies. Place the cookies in the refrigerator or freezer to set. These will be best eaten from either the freezer or fridge, since they start to get a bit melty when outside. 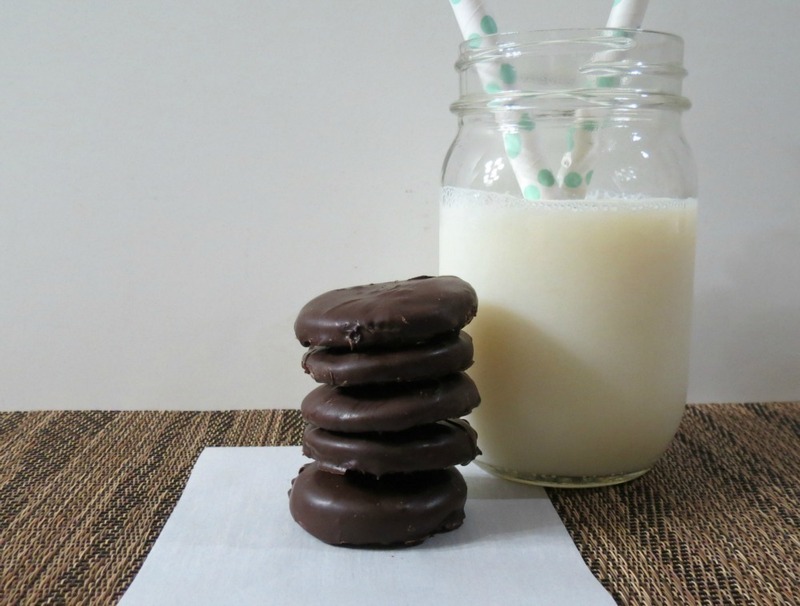 I have seen some other Girl Scout Cookies in the blogging world and I plan on making a couple more. Maybe even healthier? Maybe I’ll tackle one over the weekend. 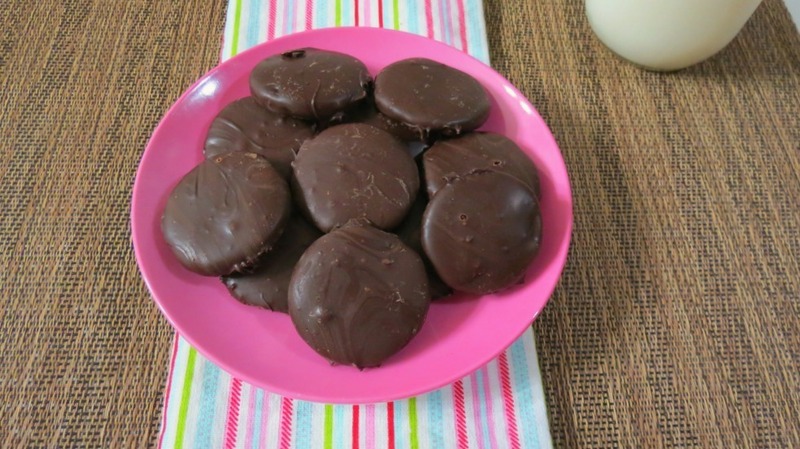 Now that you know how to make Girl Scout Thin Mint Cookies, I have a couple of recipes that I made in the past that do contain Girl Scout Thin Mint Cookies, now we can make them with these cookies. 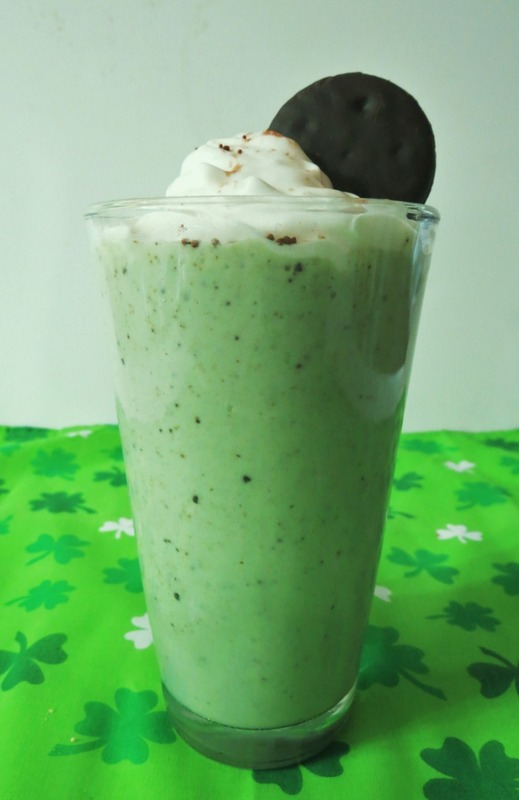 Healthy Shamrock Shake – I need to remake this shake so I can have prettier pictures. The photo doesn’t do it justice, but trust me this is one heck of a good shake! Well my Friends that is it for this Saturday! Stay tuned tomorrow for a fun Sunday!! P.S. Here is a bite out of my Thin Mint Cookie. Would this work if you rolled them in a log before freezing and then slice them as opposed to cutting them with a cookie cutter? Wow, that’s a great idea! I think that would work! Just be sure you cut them really thin. Let me know how it turns out for you. 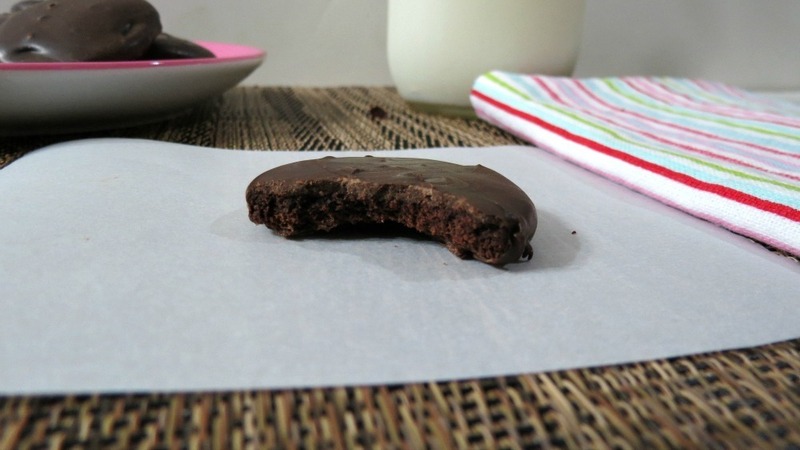 These thin mints look amazing!!!!! I can’t believe you healthified them! The only thing I don’t have is the whole wheat pastry flour. Is there anything that I could substitute it with? I do have regular white whole wheat flour. Thanks! Can’t wait to try them. 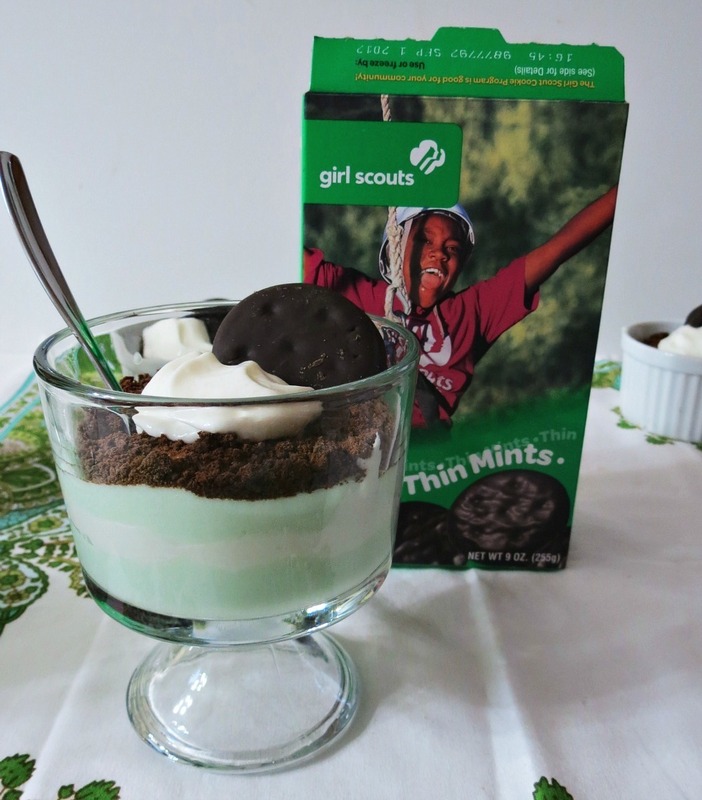 Love the healthier recipe, not only that, but we can’t support Girls Scouts anymore with the feminist road they follow now, even supporting Planned Parenthood. They are not what they were when I was a little girl, sad to say. On the other hand, for anyone interested, there is still a good Christian girls club out there – American Heritage Girls. I could eat a whole stack of those cookies in a split second!!!! Words can’t describe how excited this just made me! 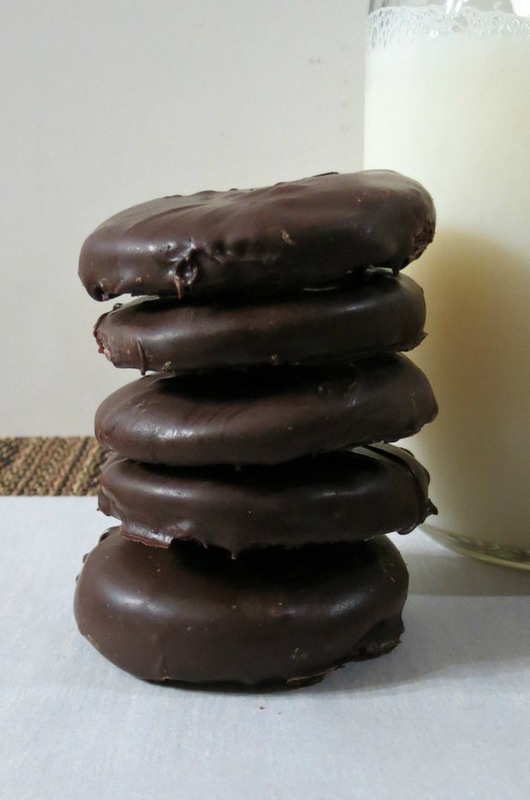 I always crave girl scout cookies, yet never know any girl scouts to order from, and feel weird ordering them online. Plus, a healthier version!? Genius. Great recipe! And this way, they can be enjoyed year round! Would regular whole wheat flour work? I don’t see why not! The recipe called for white flour and I changed that to whole wheat pastry, so I am sure whole wheat flour will work great! OH YES!! I will be making these this weekend! Thanks so much for the recipe!! Your welcome! Let me know how they turen out! I think I need to make them again this weekend too! Thanks for the invite Jackie! I’ll stop over! Not having whole wheat pastry flour, I’m going to try this with white whole wheat flour from which I’ve sifted out the larger pieces of bran. These look so yummy! Hi Nance! Let me know how it turns out using whole wheat flour! Enjoy them!